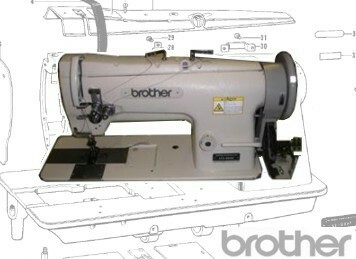 BROTHER LT2-B838 TWIN NEEDLE Walking Foot Lockstitch Machine. Need Parts, Needles or Service For Your BROTHER LT2-B838 Machine? In Stock we have all 'High Mortality' Parts for this machine and here is a selection of our best selling parts. We also have access to the Manufacturer's parts stock as well. Cant see your part? Or unsure what you need. See the Parts Book below or give us a call and we'll be delighted to help.